$40 donation will provide a healthy Christmas Meal, Christmas Gifts, inspiring moment, kids and youth performance. 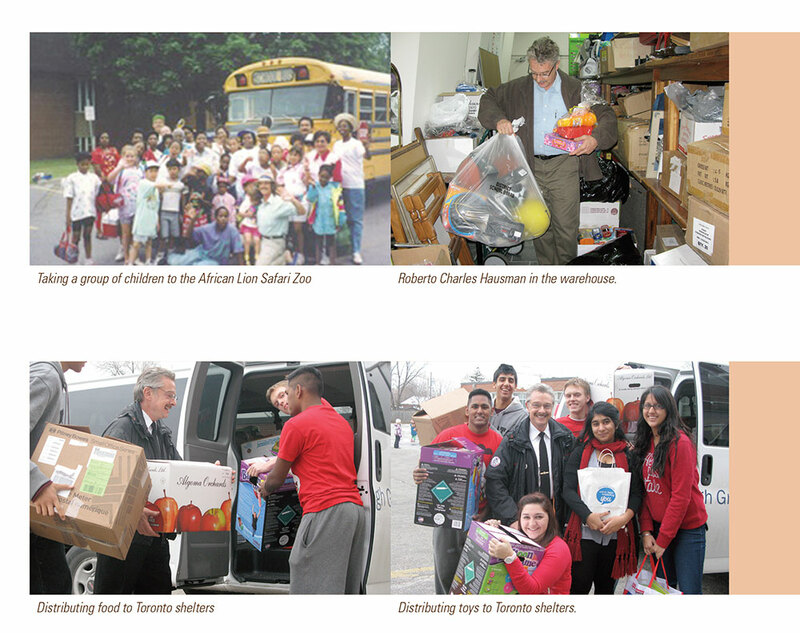 Every dollar counts, let’s show we care and GIVE as much as we possibly can. Homeless youth come from homes where there is abuse and neglect. They may also find themselves on the street because of family breakdown, bullying, struggles with mental health and addiction, conflict with parents, particularly from those from more-traditional cultures, or because of their sexual orientation. Charities assist each other and depend on donors in order to provide necessary counseling, training and programs needed for youth in transition. Now for the first time charities get together to provide a special Christmas experience. 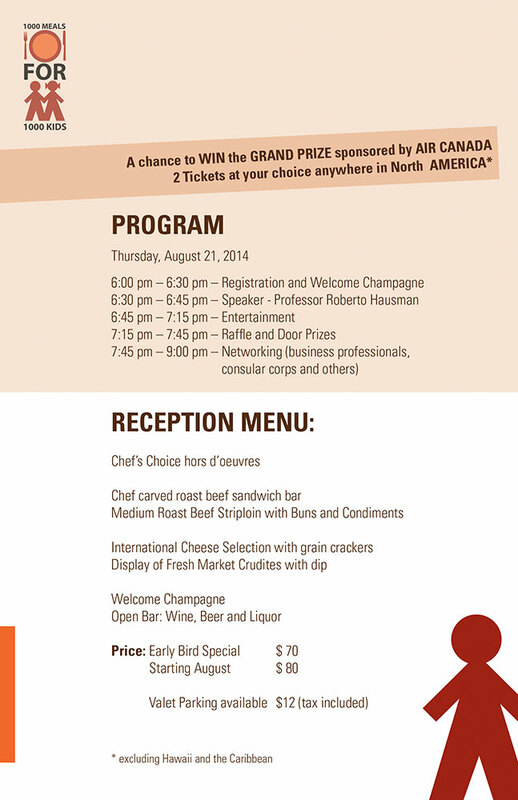 Thursday, August 21st at 6:00 pm – 9:00pm at Marriott Courtyard, 475 Yonge Street. There will be amazing networking opportunities and fantastic entertainment, all the while supporting an outstanding charitable initiative. Inspiring performances by Dr. Draw, a world famous electronic violinist and Natasha Kudashkina, a revolutionary award winning Bodypainter and visionary. Great door prizes and raffles and an amazing auction. Enjoy the Excellent Reception Menu offered by Marriott and an open bar, all for just $80. RESERVE NOW, Limited tickets available. You will have a memorable experience. Let’s show our kids that life can be better. 2. Lead your own campaign – Set a fundraising goal and invite your friends, family, and business partners to support your efforts in raising funds for 1000 Meals for 1000 Kids. Go to https://www.giveffect.org/campaigns/420-1000-meals-for-1000-kids, Click on the PARTICIPATE button to set up your own crowd funding campaign. 3. Help Spread the Word – Increase awareness – please consider sending an email to friends, family and business partners to tell them about 1000 Meals for 1000 Kids Campaign. 4. 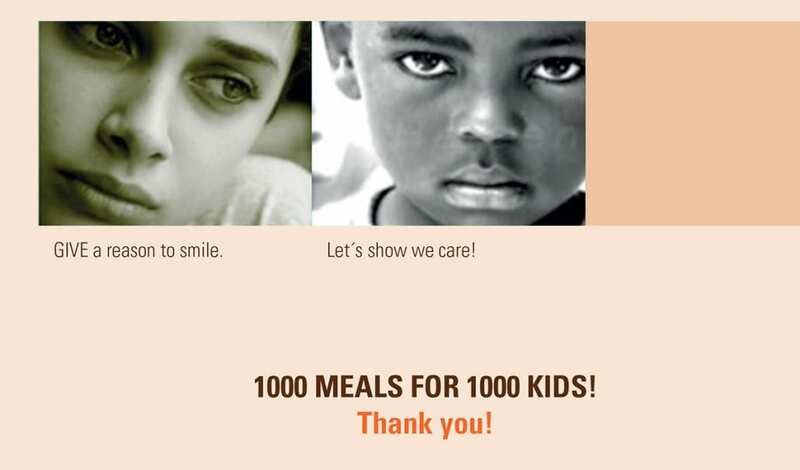 Participate at 1000 Meals for 1000 Kids Event Awareness Campaign; August 21st 2014 at 6pm, event hosted at Marriott Courtyard, 475 Yonge Street, Toronto. We would like to express our gratitude and special thank you to Millo Vassallo, Former Consul General of Malta, and to our sponsors, who have made this event possible. Produced and hosted Latin Life – Toronto’s first English Language television show devoted to showcasing Latino Culture. Within the first two weeks of his arrival in Canada, Roberto Hausman was given a winter jacket, gloves and a scarf from an immigrant settlement organization. 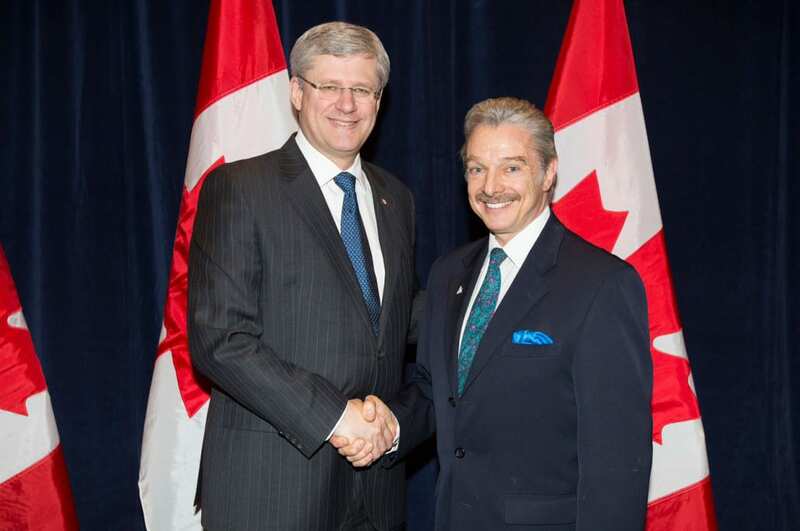 He was so touched by this that he vowed to become successful in Canada so he could do the same for others. Indonesia, Thailand, Ukraine, Russia, Uruguay, etc..